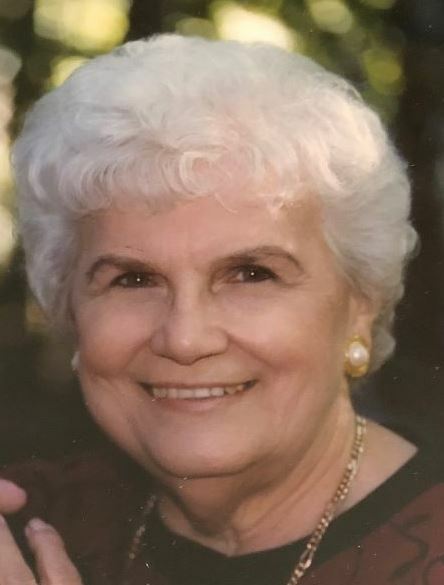 Mary G. (Grozuczak) Fedeckyj, 90, a lifelong resident of Elizabeth, passed away on Sunday, August 19, 2018 at RWJ University, Rahway. She was a retired secretary for Thomas & Betts Co. in Elizabeth. Mrs. Fedeckyj was an active member of St. Vladimir’s Byzantine Catholic Church of Elizabeth, also a member of the Parish Senior Citizens. Mary was a woman of unshakable faith and a blessing to everyone who had the privilege to know her. Mrs. Fedeckyj was the beloved wife of the late Michael Fedeckyj, devoted mother of Myron Fedeckyj and his wife Millie of Akron, OH, George Fedeckyj and his wife Sarah of Laguna Niguel, CA. Loving sister of Anthony Bestreski and his wife Connie of Elizabeth, the late John and Michael Fedeckyj, Ann Carmello and Julia Broda. Cherished grandmother of Christina Allio and Alexander Fedeckyj, great grandmother of Sloane Allio. She is also survived by numerous nieces and nephews. Visiting Wednesday, 4:00-8:00 pm. Relatives and friends are invited to attend the funeral on Thursday, August 23, 2018, 9:00 am from Krowicki McCracken Funeral Home, 2124 East St. George Avenue, Linden, NJ (908)352-9190. Divine Liturgy St. Vladimir Byzantine Catholic Church, Elizabeth 10:00 am. Interment St. Andrew’s Cemetery, Bound Brook.